Pete Steffy moved thousands of miles away to teach English only to find a deeper enjoyment and passion for something he’s always loved – chocolate. After graduating from Oberlin College in Oberlin, Ohio in 2008 with a degree in Sociology only to discover a sour job market back home in metro Detroit, Steffy chose to take a teaching fellowship in the small city of San Cristóbal de las Casas in southern Mexico. While there, he befriended a fellow American who would offer him the chance of a lifetime. “I had a friend there, another American guy, he was really good at making friends with everybody and would get super excited about ideas and get other people excited too,” said Steffy. “He made friends with this guy (Iván Arce) who ran a small chocolate shop in town and it was awesome. They had truffles, really good hot chocolate and coffee. Steffy had no prior formal training in making chocolate other than making an ex-girlfriend a box of truffles for Valentine’s Day once. When he returned back home, he turned to the notes and knowledge that he gained in Mexico and experimented in his Hamtramck duplex, equipped with a simple residential kitchen. 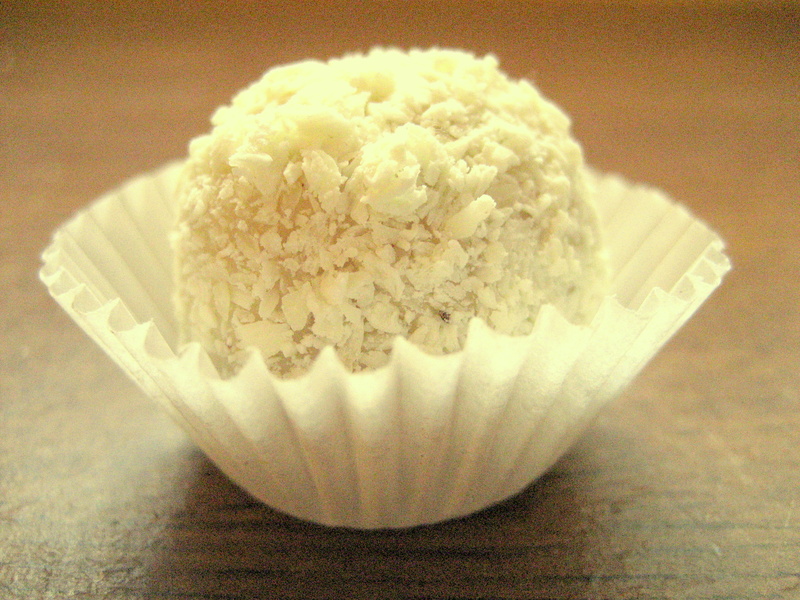 Although Steffy was taught how to make hand-rolled truffles-unique because you don’t see many in typical chocolate shops-he decided to continue his formal education and enrolled at Schoolcraft College. 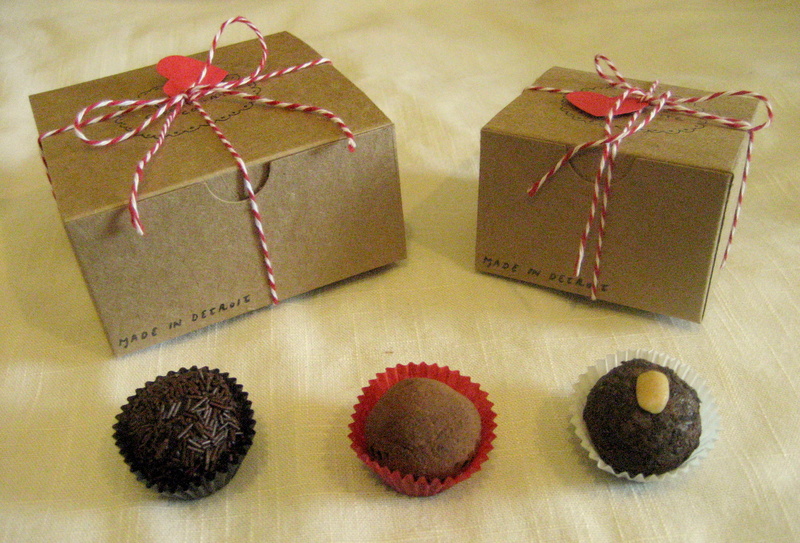 Hand rolled truffles are difficult to find, but Steffy said they’re actually not that hard to make right at home. He’s even had people make comments to him about how they’ve made them at home before. But what they fail to realize is that Steffy focuses his attention on the ingredients he uses, the “key” according to him in standing out amongst others. “It’s all about doing it with good quality ingredients, working on recipes and doing it well,” said Steffy. “I try to use local organic quality ingredients. I use Michigan cherries. 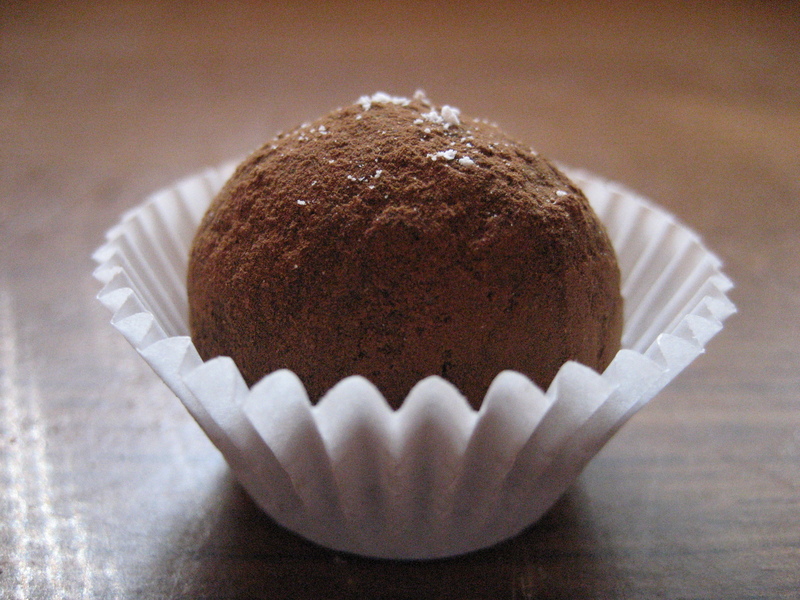 My mocha truffle is flavored with coffee from HenriettaHaus, a coffee company out of Wyandotte. Selling chooclate out of a residential kitchen was at one time illegal but the Cottage Food Law has made it possible for people like Steffy to bake and cook out of residential kitchens not inspected by the Department of Agriculture. This law allows him to sell his chocolates at events such as farmer’s markets, craft shows like Ferndale’s Rust Belt Market and other special events. He cannot, however, wholesale any of his products and must state on his label that his chocolate is made in a kitchen that has not been inspected. Steffy has catered for several special events put on by local businesses. He has worked with Team Detroit and the Burton Theatre. Last December was a very busy month for Steffy who had to fill one of his biggest orders, a holiday party, while still fulfilling previous commitments to other clients. As more people have tried his chocolates, word has started to spread around town about where and how to get them. The news on his chocolates seemed to really spread in the beginning when several friends were buying and passing them on to other friends. Steffy’s friend, Courtney Smith, was a large promoter in the beginning. With such a high demand growing Steffy is pleased with his company’s positive growth rate. The cost of chocolate is rising but obtaining it through a local source has proven to be much easier than he had initially anticipated. Working with vendors out of Eastern Market, only a couple of miles from his home, Steffy is able to buy large quantities of ingredients needed. A coffee shop selling chocolate, espresso and hot chocolate is something Steffy sees in his future, just not anything immediate. He is enjoying the pace of his growth, but would like to get a commercial kitchen in order to start excepting wholesale orders. With time and hard work, something he has already poured plenty of in, he hopes to one day call this his full time job. Steffy’s work doesn’t stop in the kitchen and getting to the point of opening a small storefront or getting a larger kitchen space requires other work that many may overlook. The boxes, labels and other material items do not create themselves. Nights are spent printing labels, assembling boxes and stamping logos all while catching a movie. The logos and all writing were done by a friend who helped him create something that was much different than what the majority of people associate with chocolate. It’s very apparent that Steffy loves chocolate. He’s traveled through Europe, entrenched himself in the culture, kept notes and brought back ideas for new recipes. He’s on a mission to make a high quality product for the everyday chocolate lover. This entry was posted in Detroit, Food and tagged chocolate, detroit, english, Ferndale, Food, hamtramck, local, mexico, Michigan, oberlin, pete's chocolate. Bookmark the permalink. 1 Response to Pete’s Chocolate Co. Better than Gayle’s or any other chocolate shops I’ve tried in the area, and cheaper and with better ingredients.